Thought I'd share what I've been building for the community. I will be updating this thread regularly with updates to this. Release 1.2 is now available for download below! Videos soon! 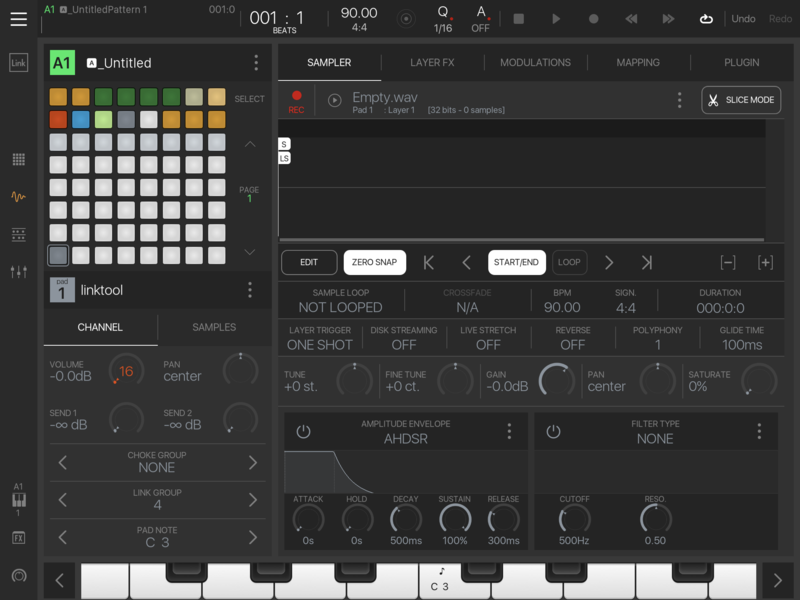 Since Release 1.2, this can be used with iPad (touch only) users and other controllers regardless whether you have an APC40 or not! 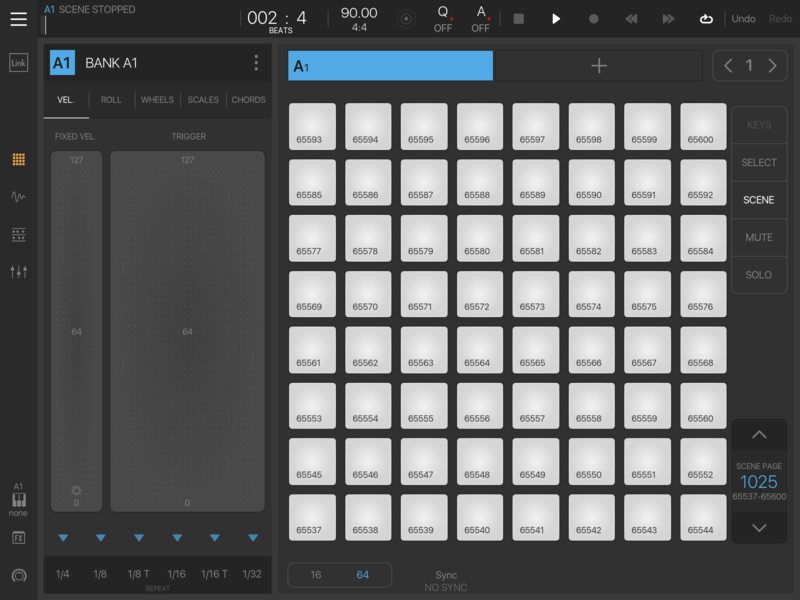 TEMPLATE PADS Three Loop/Resamplers/One-shots per 8 banks all triggerable independently of which bank you are on (with the APC40 or a compatible controller) Each pad can be triggered if you're on the selected bank using focus actions or the multipurpose linktool provided. TEMPLATE PADS Four sequencing pads per 8 banks all triggerable independently as loops/resamplers/one-shots without being in selected bank (with the APC40 or a compatible controller) Each includes it's own fast/glitch knob when in selected bank. Allowing you to trigger a sample as fast or slow as you can turn the knob. Fast/glitch knobs can't be recorded into the pattern editor. Use Resampling! Each pad can be triggered if you're on the selected bank using focus actions or the multipurpose linktool provided. TEMPLATE PADS Footswitch Control. 2 triggerable foot pads (FS1 and FS2 for APC40 or supported controllers) when in focused bank or triggerable independently on the APC40 (with 2 buttons) regardless of bank. Allows 4 triggers simultaneously. If you have an electronic drum kit or performance pad with independent channel assignment. This gets way better. 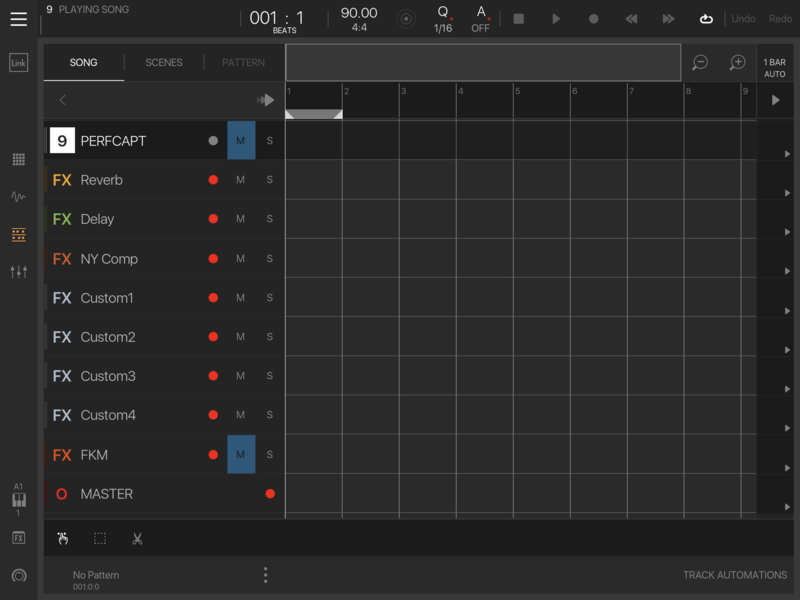 TEMPLATE PADS Five additional instruments / sequencers / triggers per bank all triggerable independently regardless of bank focus with compatible controllers. Each pad can be triggered if you're on the selected bank using focus actions or the multipurpose linktool provided. PLUGIN AUTOMATION / SEQUENCING Build your own Automator or Sequencer with plugins on each bank with the provided Pre-Setup pads or any. Triggerable independently with proper setup. 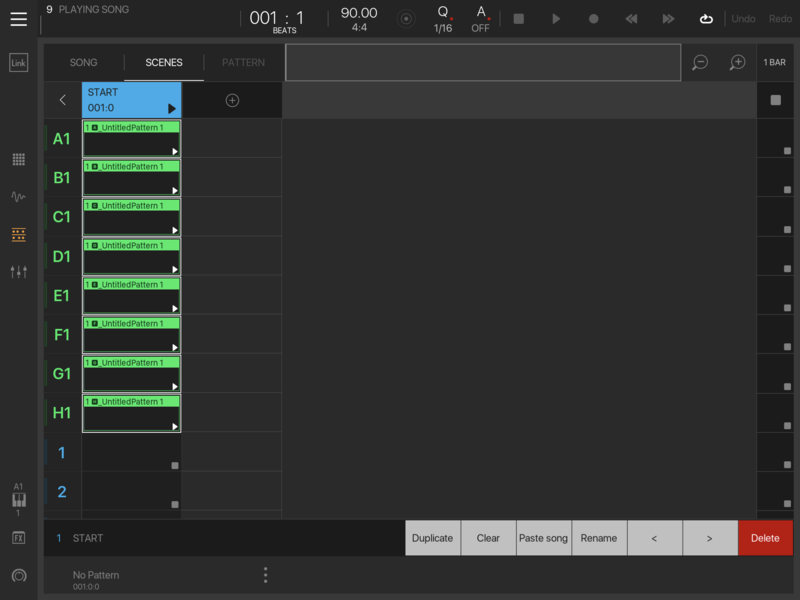 Automate BM3 Controls, Scenes, Pads, Repeats. Limited only by the plugins you use. 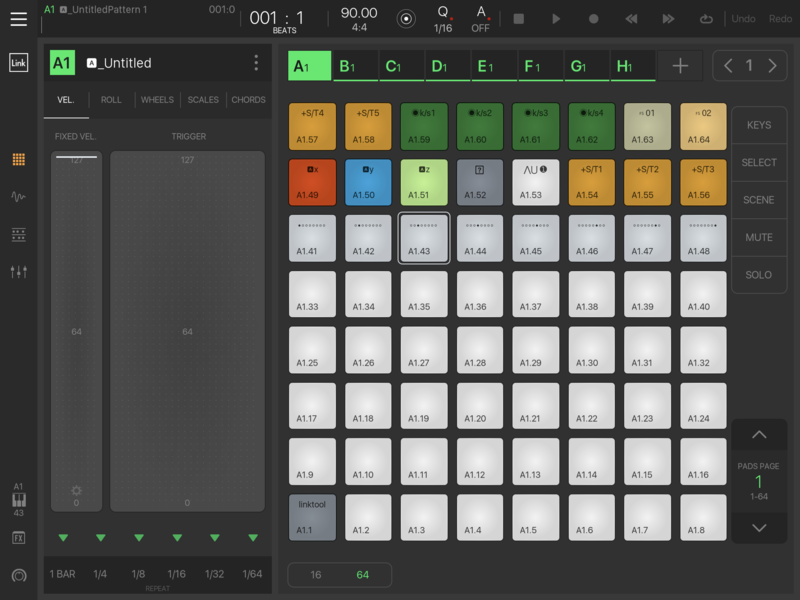 ALL USERS MULTI-PURPOSE LINKTOOL (and Empty.wav resource) Beatmaker 3 has linkable pad functionality. With it, you can do some amazing stuff. 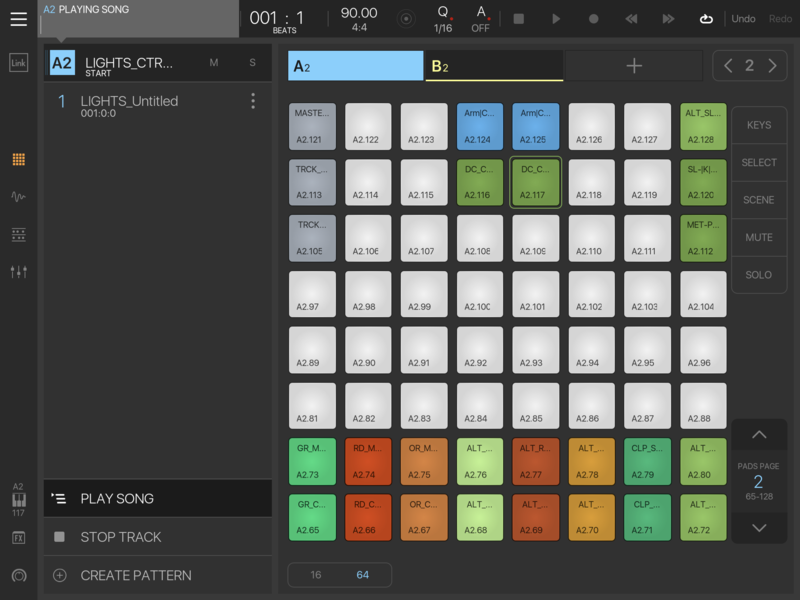 Create Empty template pads, perform keys away from your samples with new key mappings! Change the pitch of a sample from a separate pad! Trigger multiple pads with link groups all without destroying your sample placement. Add the empty.wav sample as an existing layer to a pad and use it to control all sample parameters of a single pad. Hack BM3’s loop/trigger methods. Use it with multi controller setups. The list goes on and I’m still seeing what I can do! 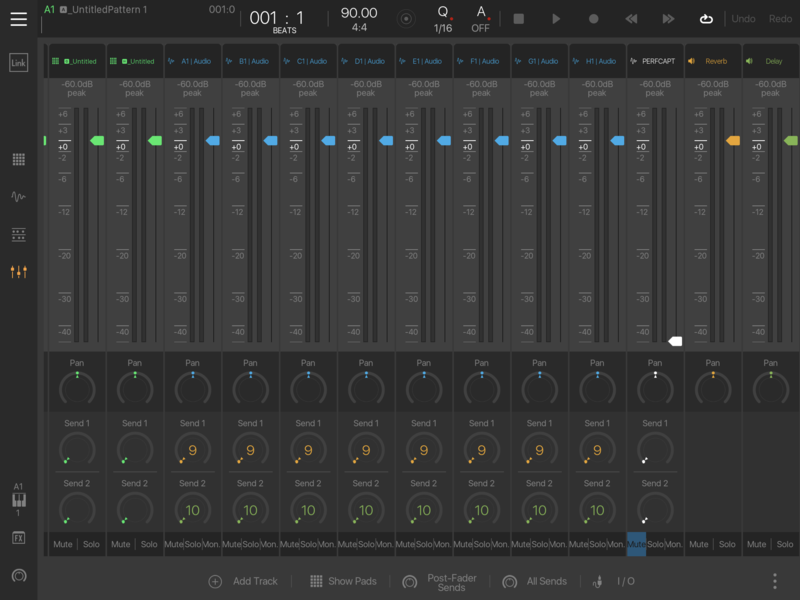 ALL USERS MULTI-PURPOSE FADE, KILL, MIX TOOL (MACRO 16) Ride the faders! Set your mix levels, fade out with aux effects, kill any banks volume, set it up as a VCA grouping simulator. The choice is yours! All recordable as automation! OTHER APC40 FEATURES Hybrid Bank/FX Selection A-H with an included reminder knob to let you know which bank you are in. Has hybrid features with the ability to lock yourself out of a bank or use the fx banks simultaneously. Bank selection is turned off by default. Turn knob 8 in the selected bank to keep it in bank selection mode. All this is very useful if you are not looking at BM3. OTHER APC40 FEATURES Custom repeaters with Lock Loop function. Using a button on the APC40 you can trigger your sounds in time with the metronome starting with a 1 BAR repeat. 4 additional repeaters pre-set and premapped 1/4, 1/8, 1/16, 1/32 are included as well. Very useful for creating complex patterns and staying in time. Recordable as an automation. Currently available on the Master Track Selection. OTHER APC40 FEATURES Programmable lights for each bank with default lights, no lights or your own custom workflow using a LIGHTS_CTRL bank in the resources/template_banks folder. Each triggerable by using scene mode and bank selection simultaneously. Does not interfere with the functionality of scene mode either. And as many light patterns BM3 allows. Can also record your performance with lights per bank if you wish. Might chew through CPU/mem though. ALL USERS The METRONOMES bank allows you to record your own metronome sounds! Perform, practice, or record to polyrhythms etc. Useful for sketching out rhythms. 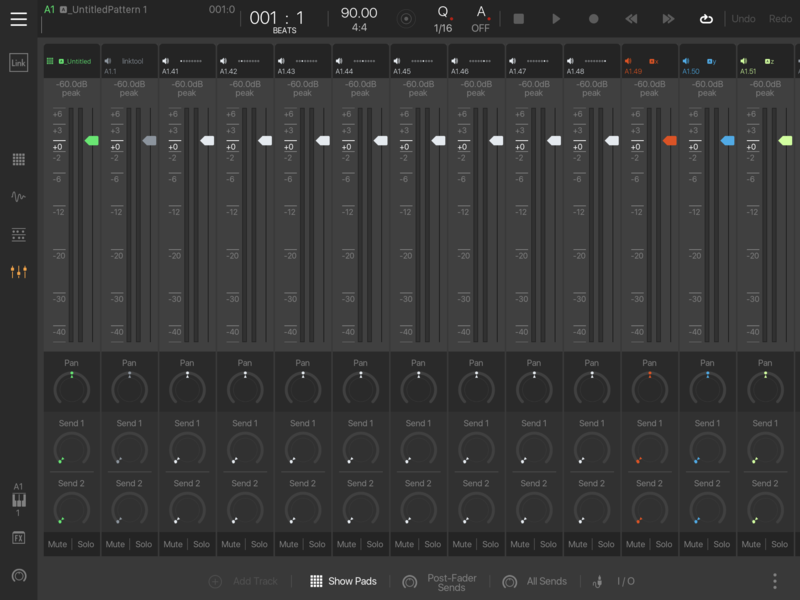 Great for drum sequencing. 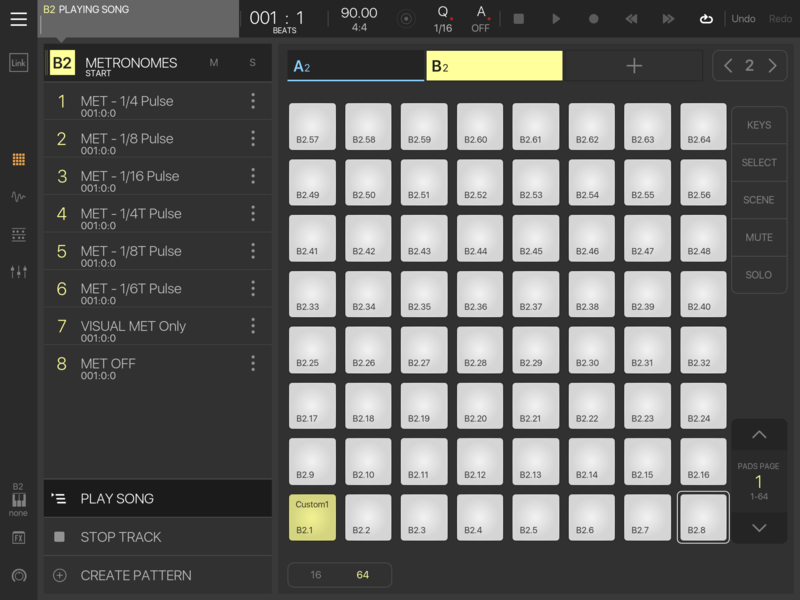 Samples are included for one alternative metronome. Build your own click patterns! TEMPLATE ORGANIZATION Clean, organized, and non-destructive design. Has own file directory structure with all included resources. Clean coloring on pads, prenamed untitled banks and starting patterns. Premade projects folder to archive/store your Project sessions, multipurpose link tool for easy bank design and non-destructive/other uses. Reload any bank if you deleted/cleared something and need it back. 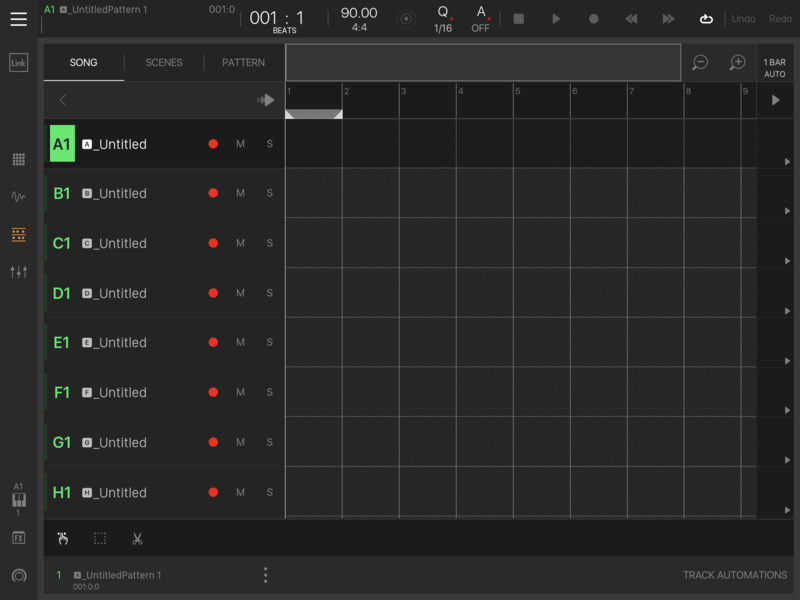 FULL BEATMAKER 3 COMPATIBILITY Release 1.2 template fully utilizes BM3’s tagging system and supports all BM3 users. You no longer have to use the documents browser if you don’t want to. 45 byte Empty.wav file (smallest possible I think). Useful for specific scenarios especially with the multipurpose link tool and lights crtl bank. As always with session sharing, make sure all work is properly backed up to prevent possible project overwrites. If you want to backup and keep older template versions, zip up the APC40 folder. You shouldn't have to as the only overwrites would be to the template project files themselves. Not your own, but be safe! 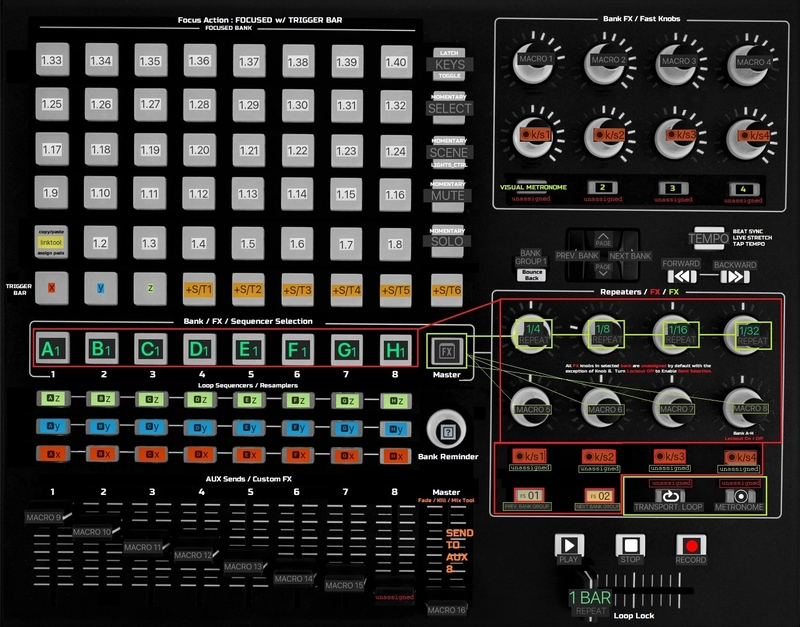 - PERF VIEW +s/t 1-5 are now organized properly in relation to the APC40 to support plugin automators. I don’t read right to left so they still count down. - PERF VIEW +s/t 6 has been removed. It exists as the new plugin automators per bank. You still have plenty independence. Lol. - AUXES The Fade/Kill/Mix tool has been abbreviated to FKM tool across the template including proper naming per bank/track. - BANKS removed LIGHTS_CTRL examples to save resources and so you don't have to delete all the junk I put on page 2. A proper tutorial is in the works. - BANKS added an empty pattern for pattern/scene bouncers (yes I'm calling you that). Cleverly named KILL PATTERN per bank. - BANKS readded bank lights to bank A (pad 83) For users in the dark or when using BANK/FX lockout with reminder light. Usable in non-trigger bar modes. Uses CLIP STOP button. 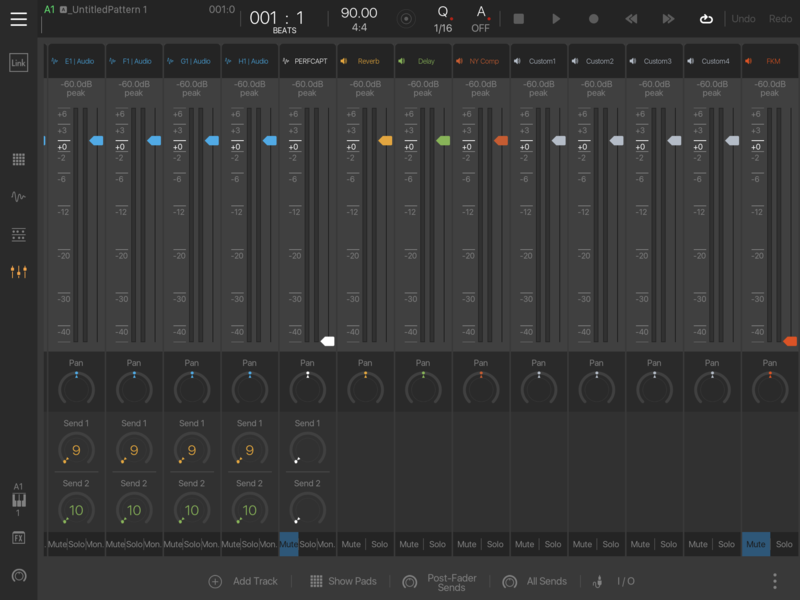 Also serves as an alternative FKM adjuster in mixer view. - BANKS The visual metronome will be included in the METRONOMES bank in resources. Uses less resources than LIGHTS_CTRL. - BANKS LIGHTS_CTRL pads are now moved and organized to page two. This leaves page one front and center for your own lights. - MISC slight color variation changes from BM3 3.0.9 and up. Send colorings for R, D, NYC, more vibrant greens on BANKS, a darker blue for AUDIO tracks. Fast knobs will be a darker green now. The red was harsh. Everything just looks better. - MISC BM3 Metronome will now be off by default. Turning the metronome ON/OFF via controller turns it on and off for both PLAY / REC modes so I turned them both off. - MISC Mixer view default size is set to small. - MISC there is now no annoying duplicate empty.wav being referenced in LIGHTS_CTRL bank. It now is referenced by the one in resources folder. It's the only one. - MISC text size adjustments to support small mix view. - MISC Main bank volumes are now locked to 0db in the FKM tool. Serves a few purposes. One being your own pads added to template will not fade out automatically when adding them. If you wish to use your own pads with FKM tool, assign them. All template pads use the tool as default. - MISC Template tags (categories) have been created for future files. And to find the empty.wav through regular BM3 samples search. - Glitch Example 01.wav has been removed. Going through a redesign. New plans as well. - FOCUS_ACTIONS slight modifications to the current set of focus actions to fix controller/perf view behavior. As new BeatMaker 3 updates and features come out by the developers and/or I release new versions all announcements will be listed below. Release 1.2 is now available for download! 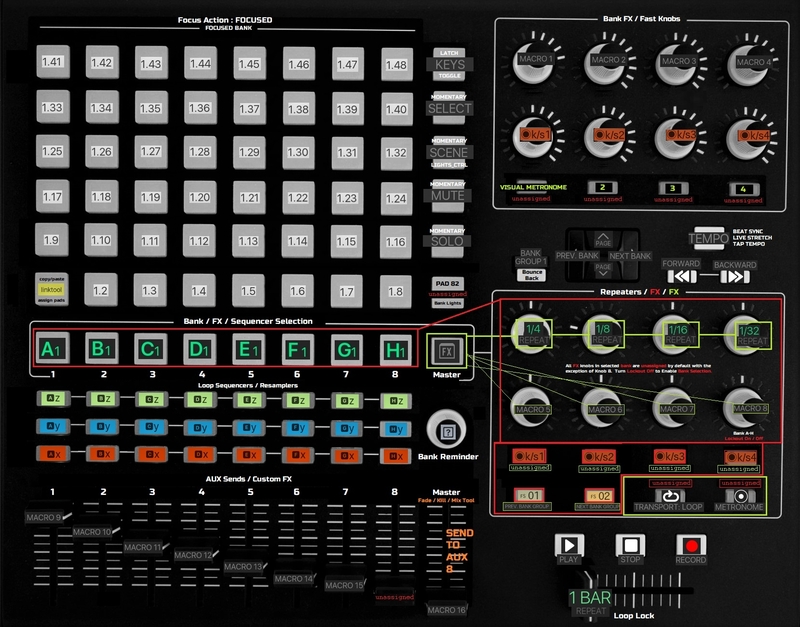 Release 1.2 will now be completely compatible for iPad only users and users of other controllers regardless if you have an APC40 or not. Bank independence will still require a compatible external controller/virtual controller (plugin). Using an APC40 simultaneously with other controllers is where the full potential of the template shines! All pads in template layout now have an associated link number. This was the original purpose of the link tool. So that this template could be accessible for all users of BM3. And for those, just starting with this, Please PM me with questions if any. I'm here to help. Enjoy! For those that don't know, I'm a Type I Diabetic. Immediately after the New Year I had a basic viral infection (common cold), but in this time it made me so sick that I went what's called DKA (Diabetic Ketone Acidosis). In a nutshell, I was an hour away from death and was rushed to the ER. I was hospitalized for a few days, left to return home to recover and now am fully back to work on this project. Just wanted to let everyone know why there were no videos. - A new experimental focus action turning pad selection/triggering on its head. - new template_banks involving the community (Pattern Store, Instrument Builder) Ask me about this if you want. I'll be explaining my mission for this at a later time..
- Linkable pads across banks using the APC40's included banks and pads in template. Maybe. - Repeats are considering being either removed or relocated as an option to turn on or off in device control. - The PDF manual is unnecessary. Instead Release 1.3 or above will have a baked in audio tutorial session. This combined with videos is going to teach everything related to the template and BM3 itself! - Considering supplying an entire collection of glitch noises for you to play with on fast knobs. Ask anything you want in the thread or through PM. I'll do my best to get any users up and running until I can knock out every single video I want to create. Peace out! Great stuff. What about the newer APCs? I don't own one, but I imagine it functions similarly. If I get my hands on one I'll definitely be programming it for BeatMaker 3. If you've got one plug it up and make a template. This looks impressive mefisme, I knew I should have grabbed the APC40 when they were being blown out for $99 brand new a few years back. May grab one used though for this. They are rugged and well built over the APCmk2. Was missing some really nice features though. 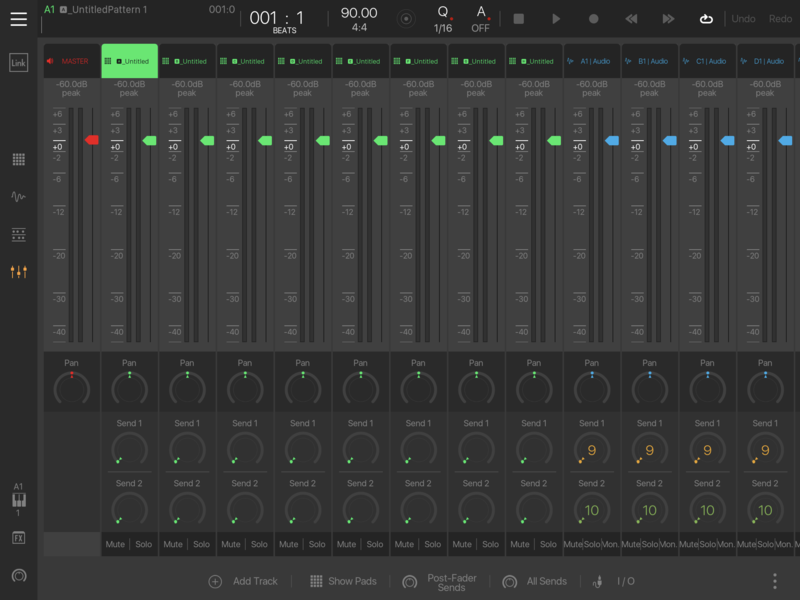 Given this was originally built for Ableton only, it turns out it's greatt for BM3 production/live use. Just remember if you do get one, not velocity sensitive, not a full RGB, and requires power supply. So you'll want a hub and the camera adapter as well if you don't have this already. Apologies, I meant to say “what about the newer APCs will the template work for them” but somehow the rest of the sentence got thrown away. I don’t have one but was thinking about getting something like it for Beatmaker 3. 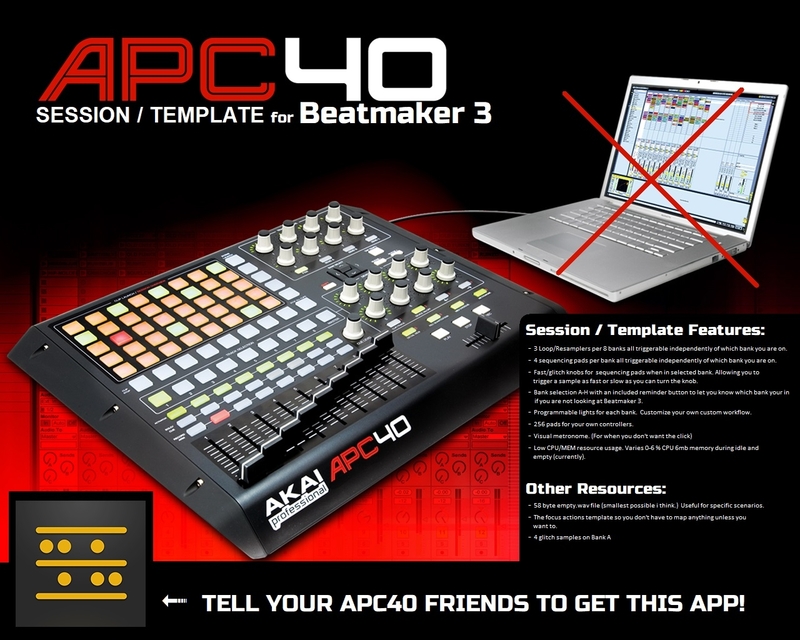 The template will be specifically setup for the original APC40;however, if the new APC40 functions similarly then all you would have to do is make some midi input/output adjustments and assign your own focus actions to my template. The midi communications protocol on the second one looks similar. 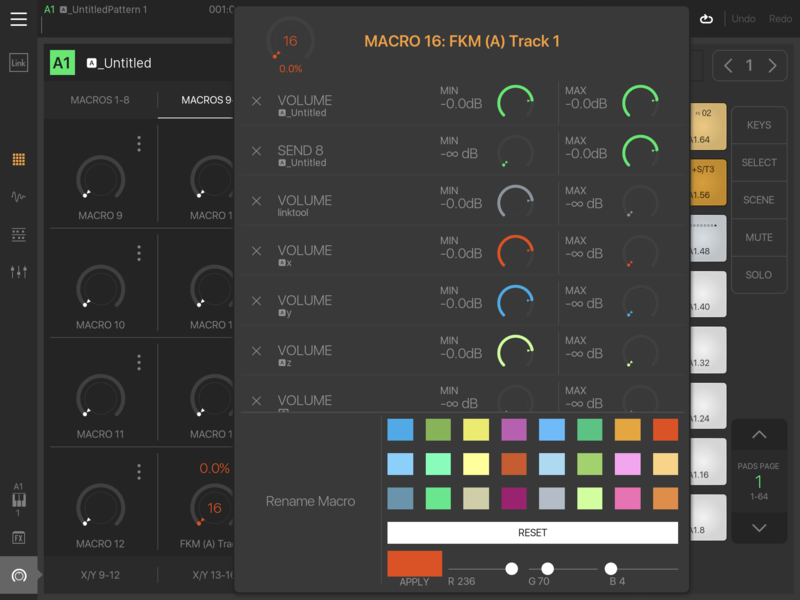 Since these are ableton(manufacturer)-specific and just a redesign with new features, I think you could get it setup with not much effort. I'm sorry I don't have one to give you a definite answer. Everything will be much more clear when I post the additional documentation and make videos for this. I've just been busy. Thank you for making good software and changing the way we can make music! 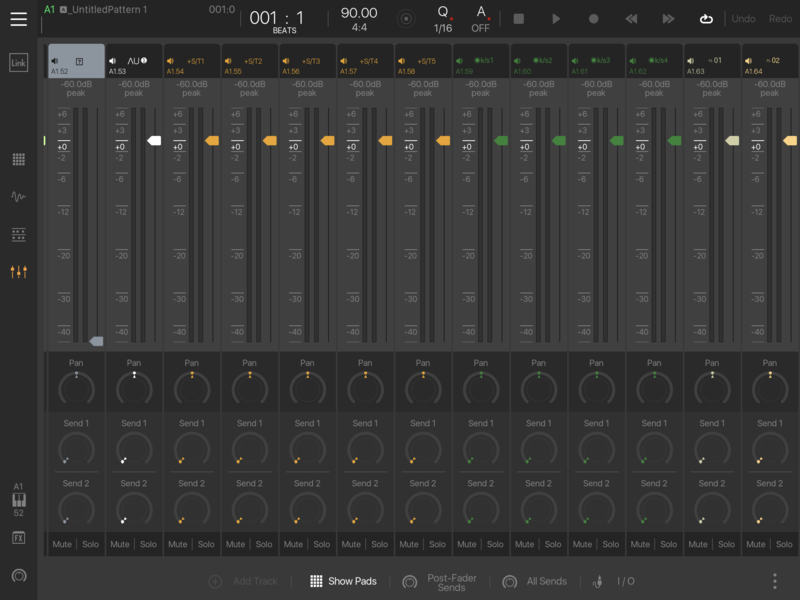 It's going to be awesome to show the power of BeatMaker 3 with this. Keep an eye out! @hansjbs regardless whether it works with my template or not. 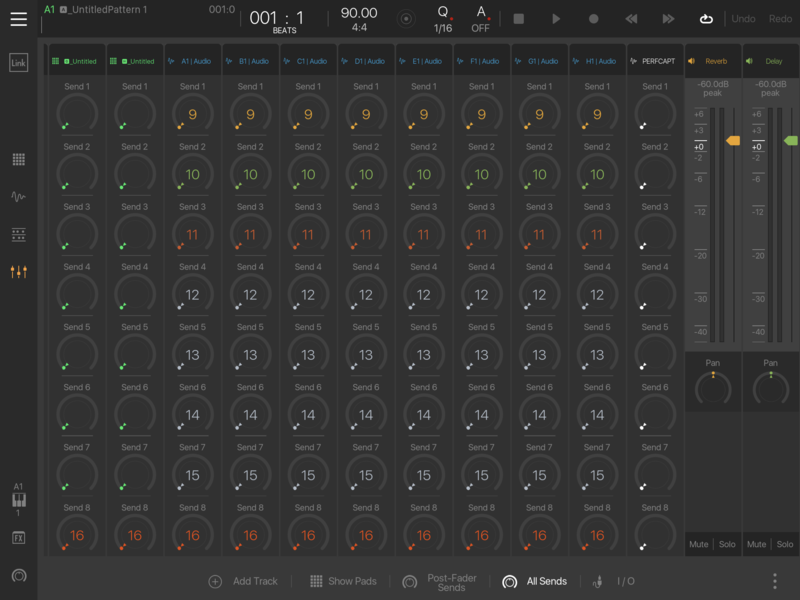 Apc40mk2 is a good production/performance controller for Ableton minus not having velocity sensitive pads. The build isn't very good for gigging IMO. It just can't take the beating, but it's cheaper than Push and if you aren't gigging heavily I say go for it! Currently, the akai apc mini is on my Christmas list. It's small, 8x8, bus powered and if it works similarly, this would trigger 512 pads spread across 8 banks independently just on page one without any focus actions mapped to it. 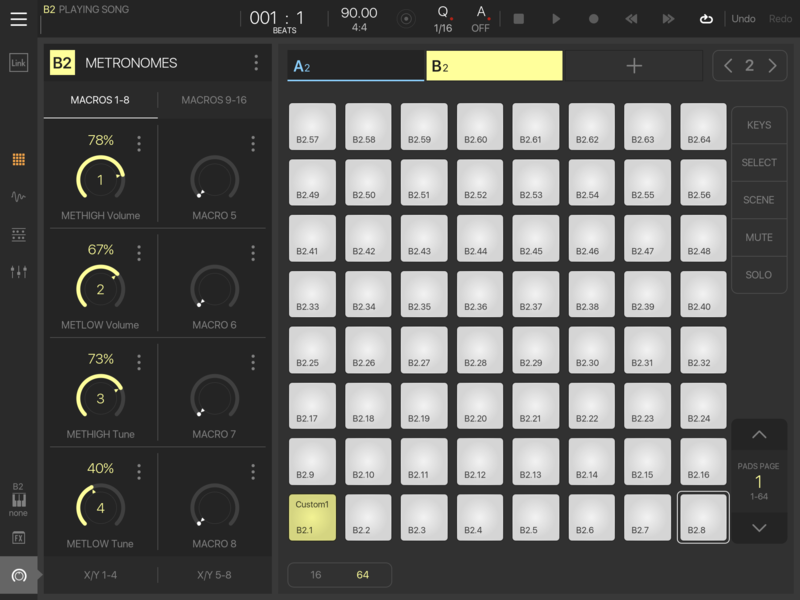 Overkill, but we don't know what the future holds for iPad performance and/or BeatMaker 3. Apparently the newer Akai designs have gone back up a notch in build quality, but considering they went down about 50 notches i am taking it with a pinch of salt until i try some. Just a nice little bit of information. This is how many scenes you’re allowed in BeatMaker 3. So the light show limit is staggering. This is awesome. I made a template for mine a couple weeks ago, but it’s child’s play compared to what I’m seeing here. If I’m reading this correctly, you can control the APC lights with this template? I was trying to figure that out the other day but didn’t really get anywhere. Any insight so I can mess around with it? Also, what’s the ETA on availability for this template? Yes, lights are programmable but only stay on when the play or record head is running. There are a few lights that I've programmed to function when the play head is not running. Specifically the bank lights and reminder light. I don't know if I should release without a manual or videos. It's a busy time of year and I was implementing a few more fixes/features, plus its complex. 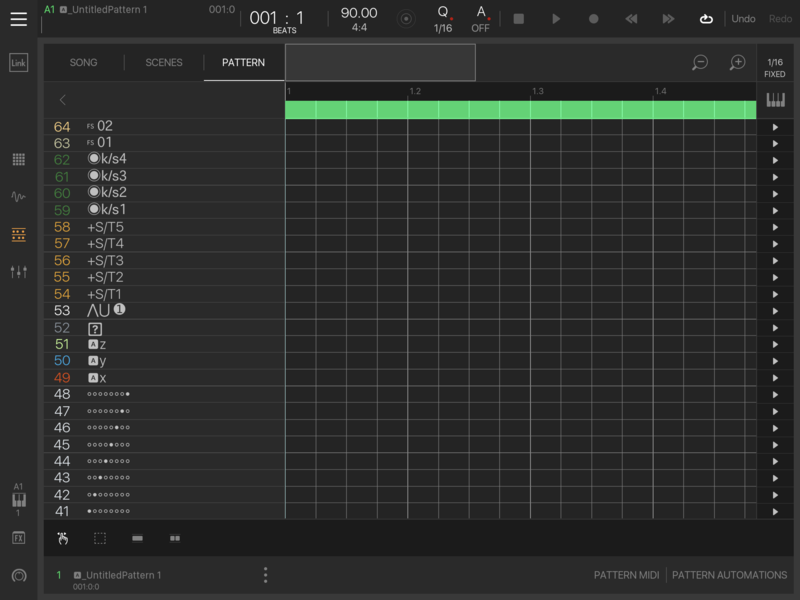 Release 1.0 will have some bugs/limitations based on either my design or unimplemented features of Beatmaker 3. I am not affiliated with them so if I post the template now, I’d hope no one would bother the devs if a situation arises. You could try to program this yourself by finding the note values of each light on each channel using midi output. Or just wait for this template. @KurrentlyKorg Oh, and thanks for the excitement for this. It’s taken a lot of work so far. I’m looking forward to giving it to you APC40 fans out there! Who wants this for Christmas? Anybody? I would if I could find a used APC40! 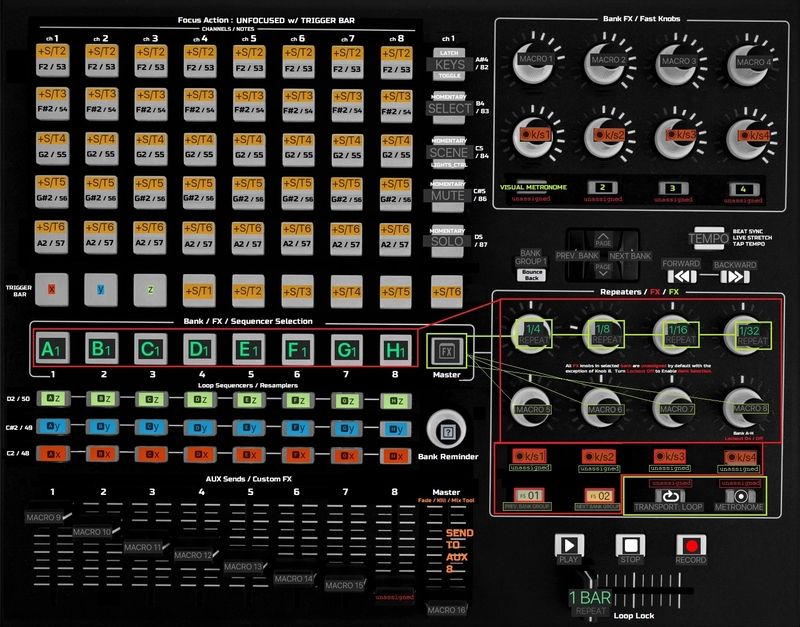 There's lots of BM3 users on the Audiobus forum, maybe several have the APC. Do you have a video? Looks awesome! Didn't realize you updated your thread. I'm about to update the thread again with the last included updates. Probably going to hold off on videos and manual til after the holidays. Turns out the session/template can be used by any controller or without u would just have to change each banks midi setup if you use single-channel, multichannel. I'm including support for other controllers. And it's all setup in mixer so no one has to create anything. @StudioES some really powerful stuff in here. Using sends very cleverly. @StudioES oh and the focus actions don't load by default yours will still stay so you could build your own mappings around it if you wanted to. I'd definitely appreciate any feedback even if you don't have an APC40. I'd be curious how it feels for other controllers. What controller (s) do you have? Super excited for these final updates to get finished and release! I've also managed to figure out why I couldn't get track selection buttons on apc40 to work and what I've found is awesome! I just need to decide how to use it for both focus actions templates that will be included. May introduce a third. The updated feature list is massive! For a summary of what's added, see the UPDATES: section in the main top thread. Woah, major updates just posted! @mefisme I have a MicroKontrol & iCA4+, but it's all in storage. Will definitely get an APC40 when I find a good price, as your hard work would be silly to pass up. Microkontrol looks like a pretty nice controller. I've never tried one but it looks like it would be a great controller for BM3. Most of the work I've done anybody could do, I merely started because I didn't like that the APC series are DAW-specific and without editing software. 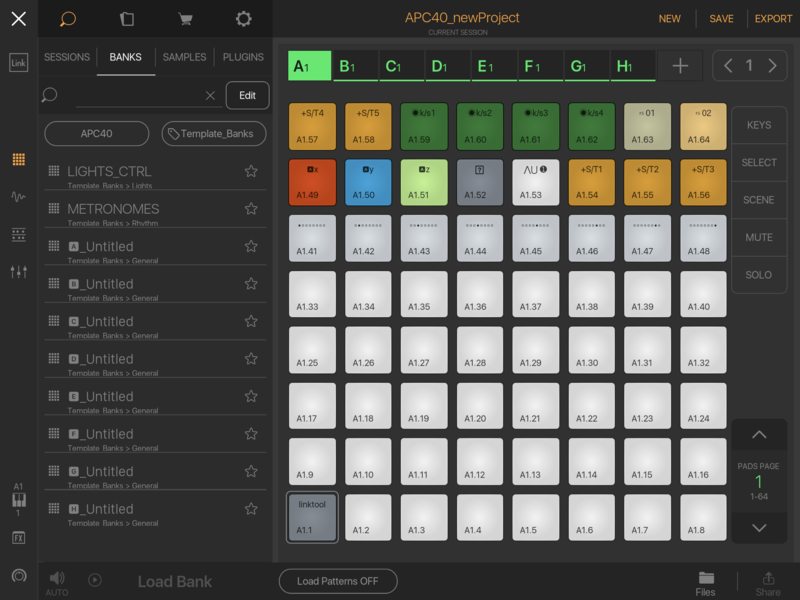 With everything on the APC series being on independent channels, I realized it could be a production/performance workhorse for BeatMaker 3. Pretty much BM3 future ready. Really crying for more macro controls/global midi learn. This controller has so many assignable knobs. Lol! Im sure its super close, but when are you expecting it’ll be ready? Sorry for having the patience of a 5 year old over here haha. Think I’m just in a hurry to mess around with it before the holidays are over and I have to go back to being a race rat hell slave. Should be ready this week before the new year. This santa missed the Christmas deadline for the adult kids . So incredibly close. If I was magical, I'd have it done 11:59pm my time. Whoa - nice effort. I probably should have read this thread before ordering a new Novation SL MKii controller. @mefisme thanks - Amazon had one for $115 US for a day so couldn't resist. I'll try to create some BM3 templates as well when it gets here.